Director Vignesh Shivn made it official that Thaana Serndha Koottam will release for Pongal 2018. Diwali and Pongal are the two major festivals celebrated in Tamil Nadu. Suriya has had very few releases on both these special festival days over the years. 7am Arivu was his last Diwali release which hit the screens 6 years back. Si3 was planned for Pongal 2017 but was later pushed to February. What is more interesting to know is Suriya has till date had only 2 releases for Pongal, and his last was 16 years back when Friends released in 2001. Apart from Friends, the only other Suriya film that made to the screens for Pongal is Kaadhale Nimmadhi (1998). 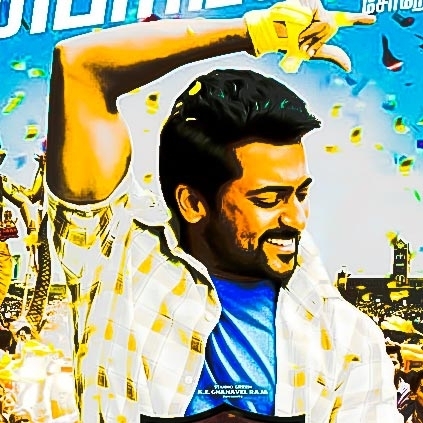 Is it not fascinating to know that TSK will only be his 3rd Pongal release in his 20-year long career? We presume TSK would release on the (Friday) 11th of January, 2018 which would give the film a solid 5-day opening weekend. It is a gutsy move by the production team to release the film just 14 days before Enthiran 2 storm which would hit the county on the 25th of January. Three exciting announcements about Karthi's next film! Just in: Vikram and Tamannaah’s Sketch teaser release details here! ''Who is Dhoni? '', asks Raai Laxmi! "Those who want to get into politics, can't even stand up for.."
People looking for online information on Suriya, Thaana Serntha Koottam, Vignesh shivan will find this news story useful.